What is Cold Root Rolling? 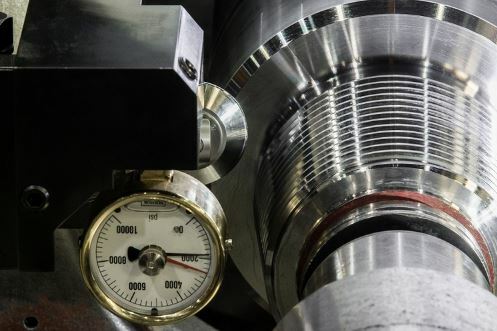 Cold root rolling is the process of burnishing the root radius of a previously cut thread, in a Rotary Shouldered Connection or thread profile. A hardened roll, similar in profile to the thread being manufactured, is placed in contact with the root radius of the tapered thread, and pressure is applied to force the roller to penetrate into the cut surface of the root radius, displacing and cold-forming the thread material. This deformation cold-works the material, imparting an improved surface finish and compacts and displaces the grains of the root material.